Woking, Surrey: 16/3/16 – It was one of the hottest summers on record and the year Apple first demonstrated its computers. The 5.25” floppy disk was invented in this year and Bill Gates dropped out of Harvard to devote all his time to Microsoft. It was 1976 – also the year the embryonic Wick Hill first set up in business. Today, Wick Hill is celebrating its 40th birthday. Now, a leading, international value added distributor, employing 150 staff, with a turnover in excess of US$ 150 million, the company specialises in exceptional value-add distribution with a focussed portfolio of high growth security solutions. Wick Hill recently entered the next phase of its development when it became part of Rigby Private Equity (RPE). RPE is building an EMEA-wide, high-value, specialist distribution business, and Wick Hill, in co-operation with specialist distributor Zycko (also part of RPE) now offers resellers and vendor partners a pan-European service currently covering 13 countries, with the focus on exceptional, specialist support. The combined product portfolio encompasses networking, security, communications, storage, access, performance, monitoring and management. 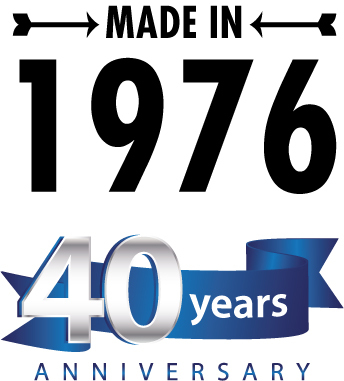 Ian Kilpatrick, chairman and founder of Wick Hill Group, commented: “The 40 years have gone very quickly. I’m still here because it’s never boring. Our industry, and security in particular, is constantly changing and the challenge of keeping ahead of that keeps it new and exciting for me and for the staff. I’m proud that we’ve continued to be an organisation, which isn’t just sales and technically-driven, but where teamwork and excellence are core to the business. The company was founded and began developing and selling application, performance and security products worldwide, with channel partners, for the HP 3000, dealing with major corporates such as Glaxo and Shell. Moved into international distribution for American vendors. Ceased distributing our own products and focussed on distributing for other suppliers, specialising in connectivity for enterprise computer systems such as HP, DEC, UNIX and IBM. Bought out distributor competitor IMX, and became Wick Hill IMX for a time. Went from £2 million to £6 million turnover in 18 months. Set up a German branch through the purchase of German company GFKT, which also specialised in networking and communications. Expanded into security, becoming WatchGuard’s first UK and German distributor, and built up an SME channel, alongside the existing channel business with large enterprises. Built up small focussed group of vendors, developing today’s portfolio which covers access, performance, security and management. Expanded reseller base and steadily increased turnover to current level. Won many awards and accolades in the UK and Germany, including being named as one of the London Stock Exchange Group’s ‘1000 companies to inspire Britain’ in both 2015 and 2016. Also won many press awards including CRN’s Security Distributor of the Year for 2015 and 2016, Microscope Aces Security Distributor of the Year 2015 and Network Computing’s Distributor of the Year Award 2015 (voted for by readers). In Germany, press awards included CRN’s Excellent Distributor award in 2015 and 2016 and the IT-Business’ Distri Award Gold in 2014, 2015 and 2016. Survived four recessions by growing and investing during difficult times. We increase our sales, marketing and technical budget when others tend to reduce outgoings. Won many Best Distributor awards from our vendor partners over the years in the UK and Germany, including awards from Check Point, WatchGuard, Kaspersky Lab (UK and DACH)* and Barracuda. We focus on excellence and teamwork, not just on profits. This is one of the things that has made us a success and differentiates us from other organisations. The core of what we’re good at is market-making. We enter different market niches and our goal is to expand those markets for our partners. We provide support for partners into what can be new and technically challenging areas. We deliver a high level of value-added services. We work closely with our partners and provide very strong sales, marketing, technical, training and financial support. Responding to change is a fundamental part of the company. We predict and respond to business needs and provide suitable technologies to meet those needs.